My colleague Hameed and I headed back to Bamiyan to implement an ICT project with Bamiyan University. Hameed was staring at a poster in the Pactec container. Yes, container. 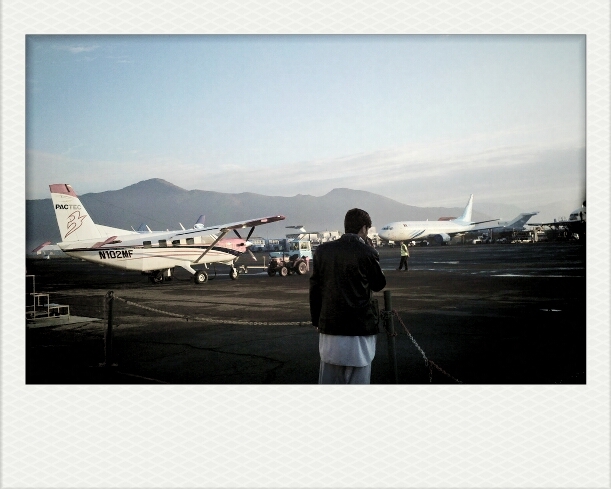 Small charter planes at Kabul International Airport. 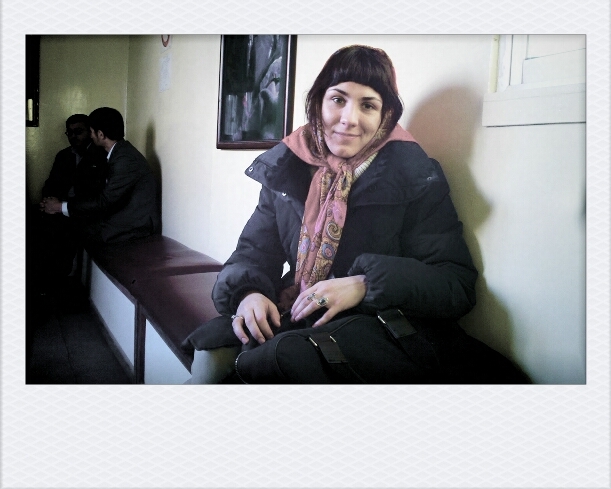 Some disheveled lady who was waiting for a Pactec flight. 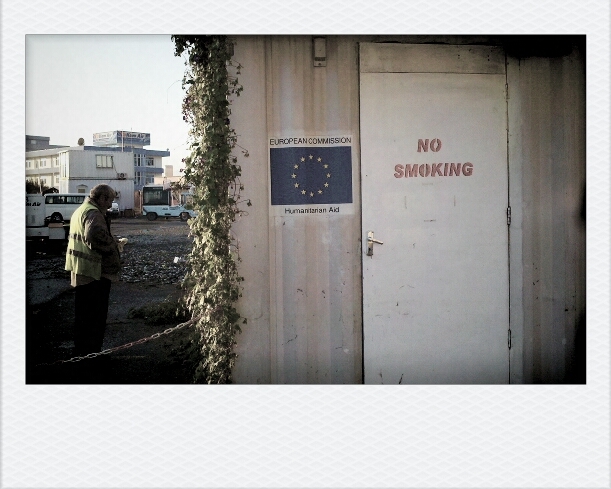 The charter flight waiting container where passengers drink tea and…wait. Hameed smiling before his first ride on an airplane. 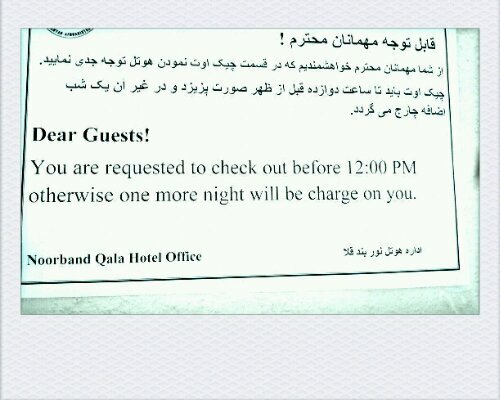 In wartime Afghanistan, hotel make charge on you! 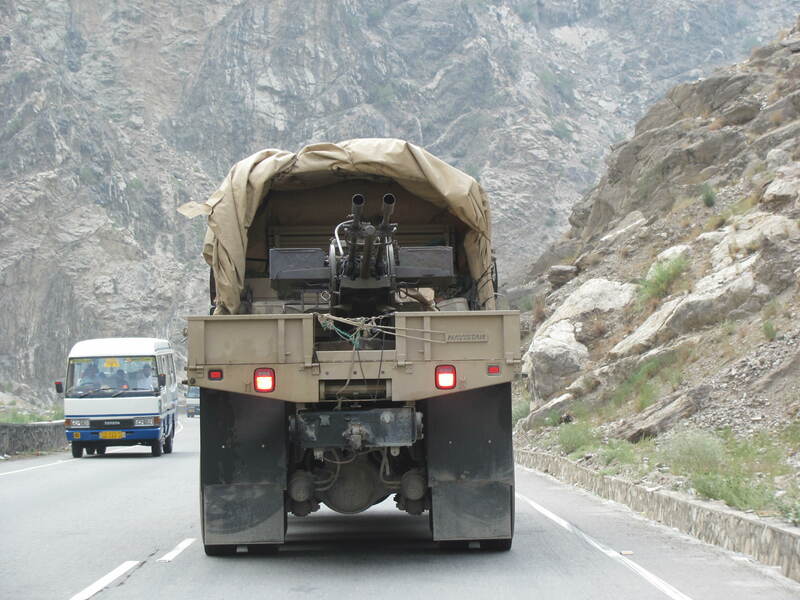 Driving between Kabul and J-bad. I find it hard to believe these photos were taken not much more than a year ago. Kabul is a different place now. 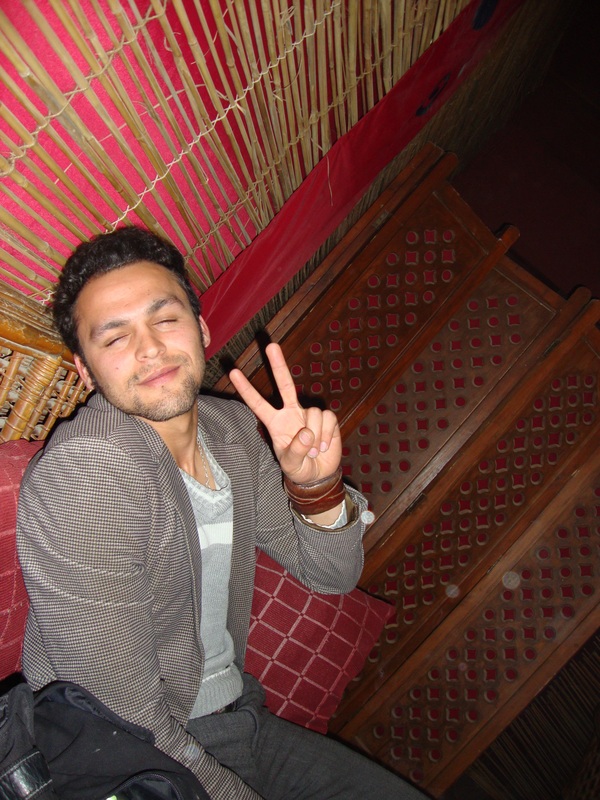 Afghan housemate during a night on the town (Kabul). March 2010. 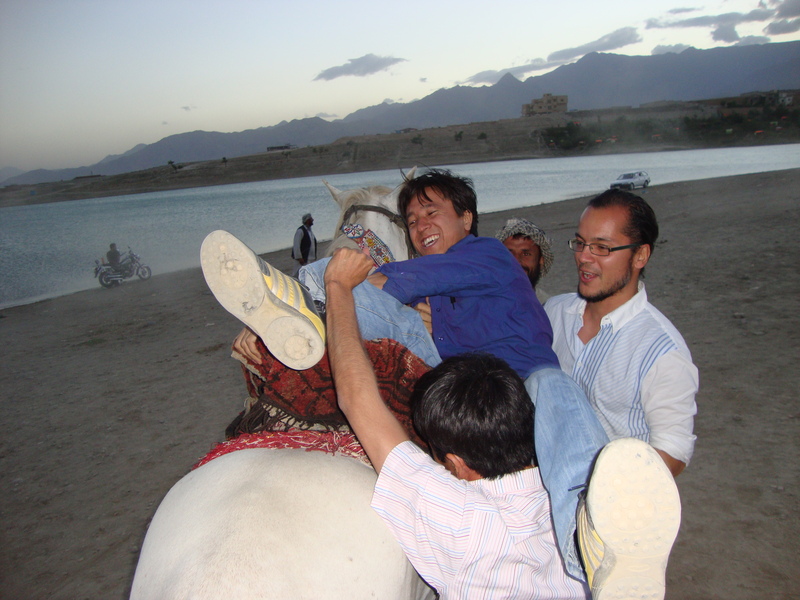 Forcing Zaman onto a horse at Qargha. April 2010. 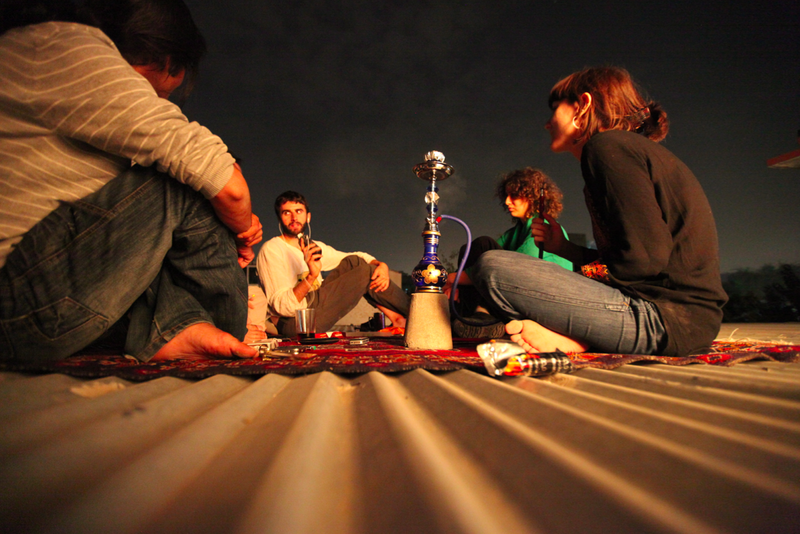 Podcasting and smoking shisha on the roof of the old Kabul Inn. I don't remember exactly when this was taken or by whom. Enjoy these snapshots of the desert city. Glenna Gordon’s photos of the strangely beautiful decay of the mansions of Harper, Liberia made me want to post a few photos of Darul Aman Palace in Kabul. All of these were taken in June of this year. The palace, once the Kabul home of Afghanistan's royal families, was burned by the Soviets, pounded with artillery by the mujahideen, mined and booby-trapped, seized by the Taliban, occupied by IDPs, and de-mined by NATO in the early 2000s. Today, it is fenced off and guarded by Afghan troops. Abstract art, sculpted with artillery. Wandering under the shattered domes, I thought of what European cathedrals must have looked like in 1945. A pair of crying eyes. Tired of the dust and palpable fear of Kabul, three of my friends and I decided to take a day trip to Salang in August. A Soviet-built gallery near the Salang Tunnel. August 2010. 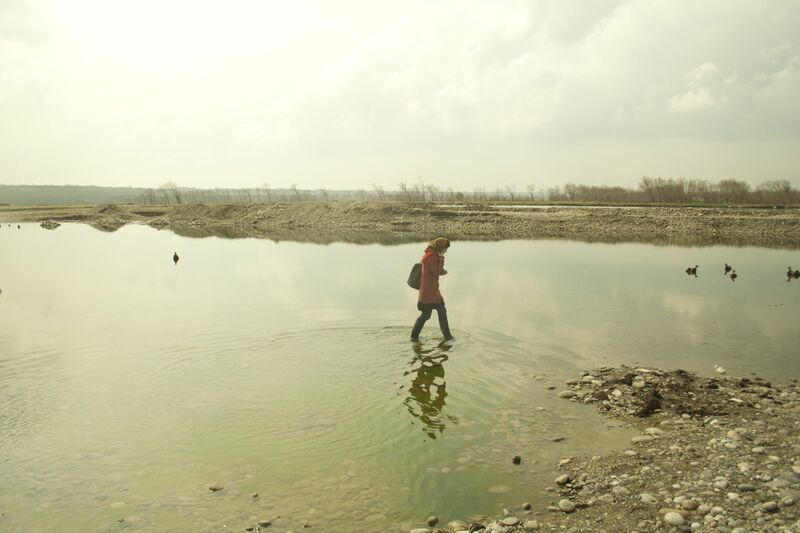 Massoud stands on a rock on the Salang River. August 2010. Salang. Bright and bleak, and so high it feels disconnected from the rest of the world entirely. August 2010. Solmaz and Zach relax with some tea at a roadside restaurant in Salang. August 2010. Wolesi Jirga election posters galore, including this one for a female candidate from Parwan. August 2010. A cold, windswept place where the earth meets the sky. August 2010. The obligatory stop for bolani (fried dough stuffed with potatoes and spices) on the side of the road between Charikar and Kabul. August 2010. One day, perhaps sooner than anyone can imagine, foreigners will no longer be able to travel the roads outside of Kabul, and the breathtaking country outside the capital districts will become nothing more than red “no-go” zones on office security maps in the expatriate imagination. What a tragedy that will be. A poster from Afghanistan's Independent Election Commission, encouraging Afghans to vote in the Sept. 18 parliamentary elections, is displayed on the barrel of a dead Soviet tank near the entrance to the Panjshir valley.